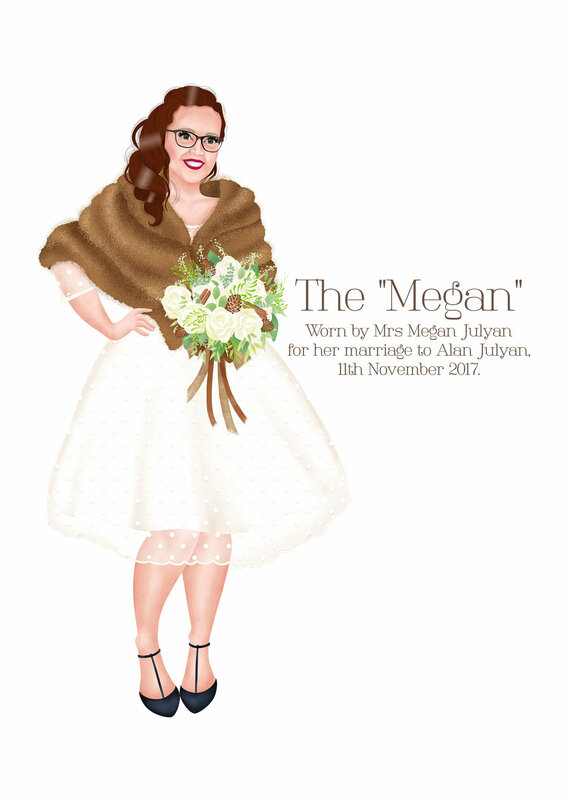 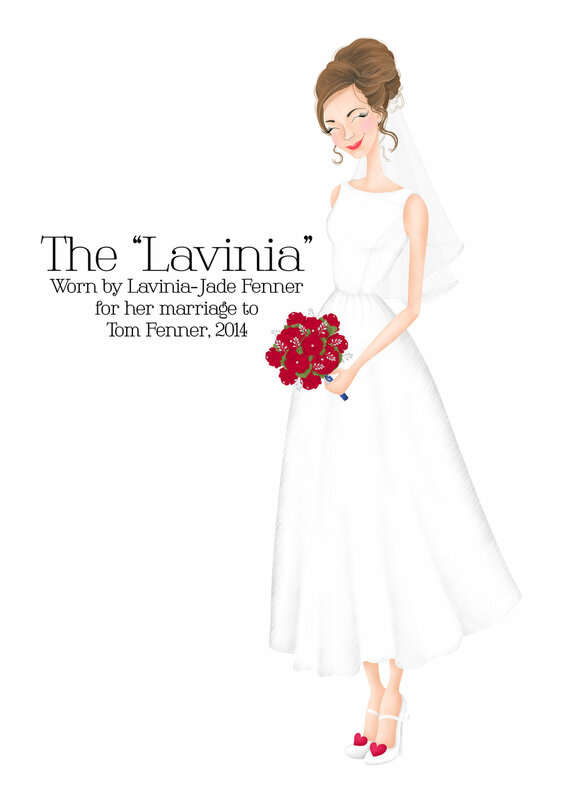 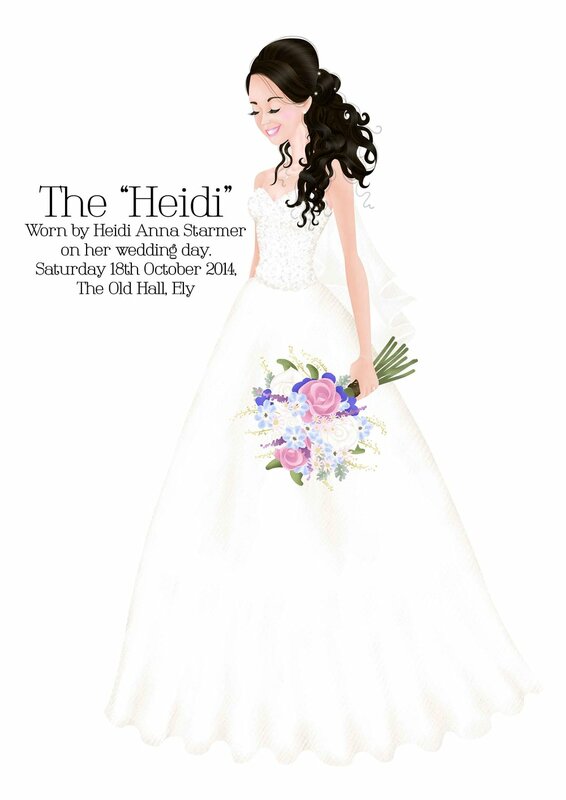 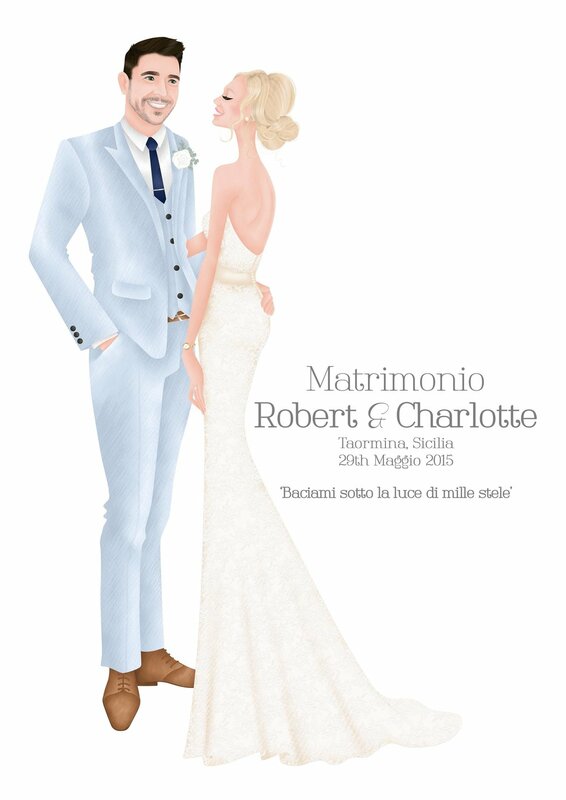 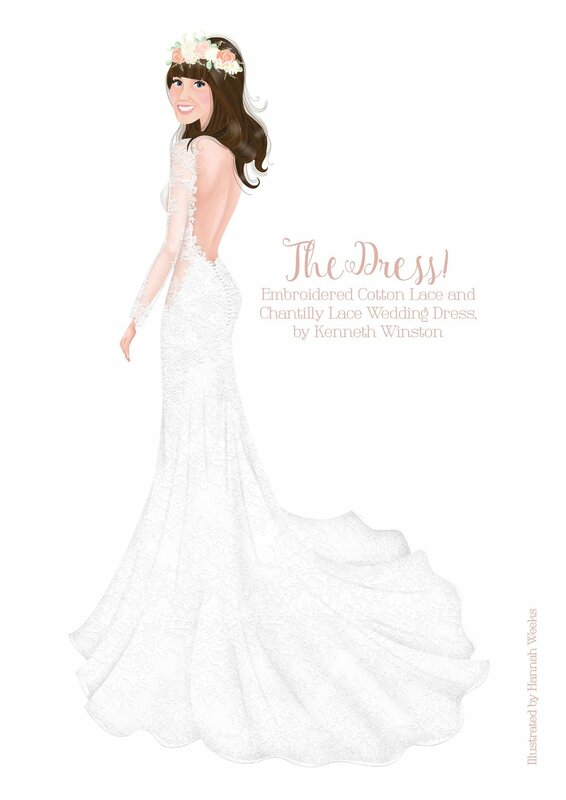 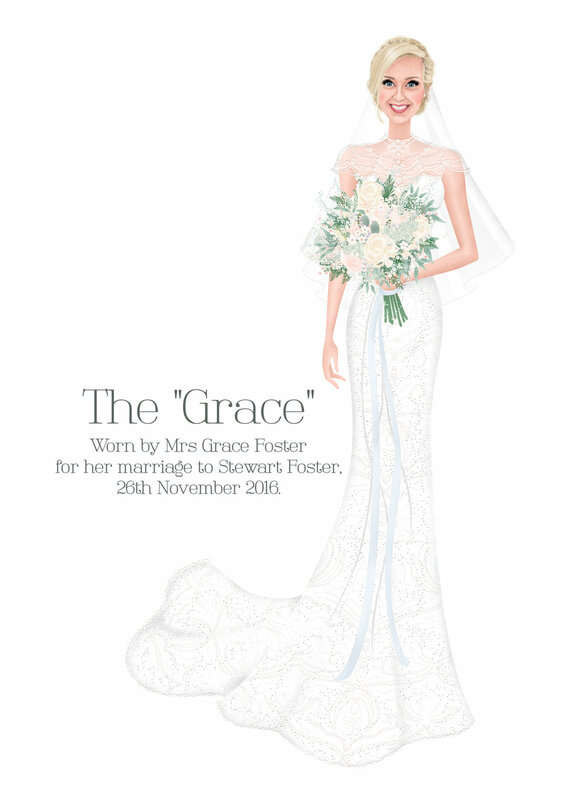 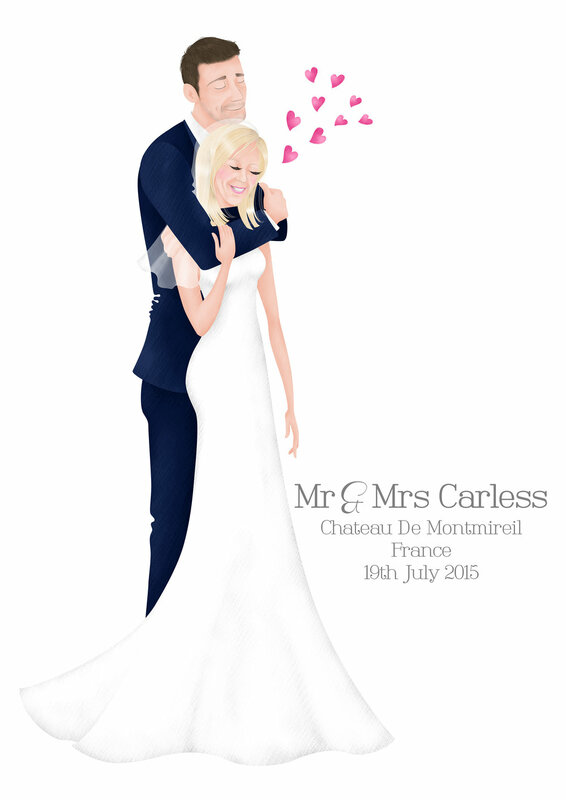 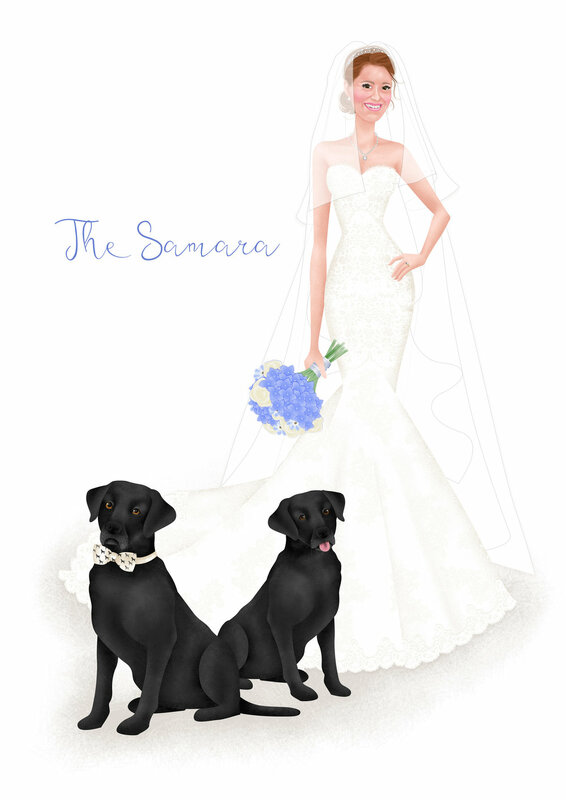 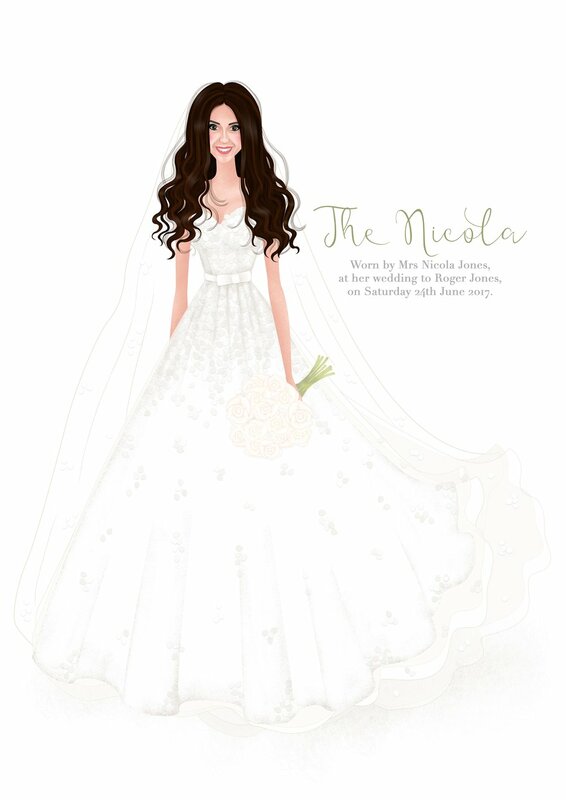 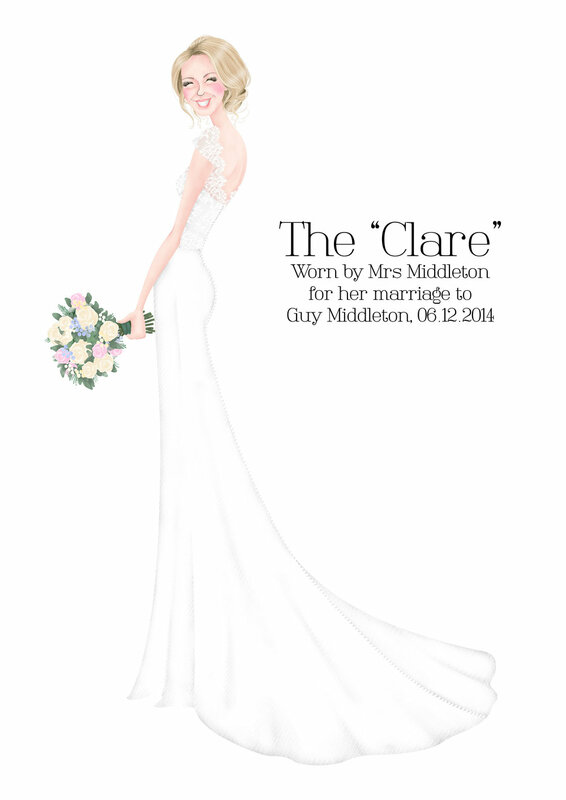 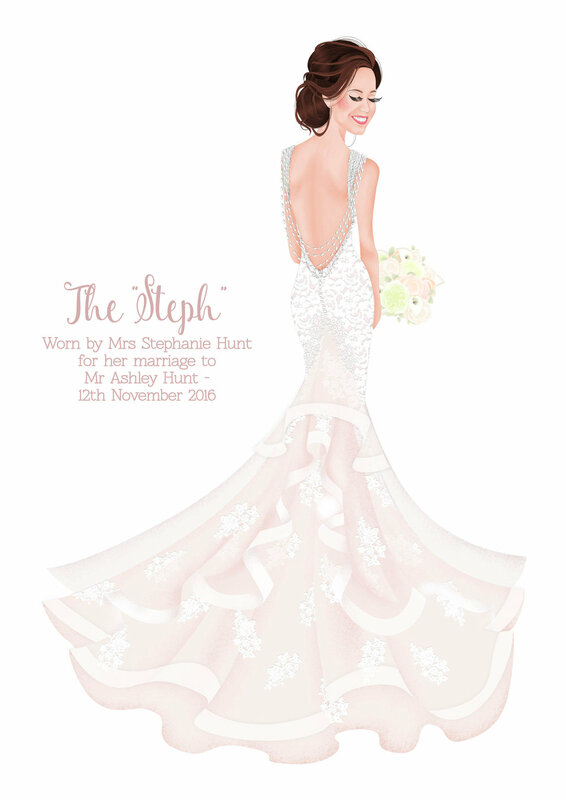 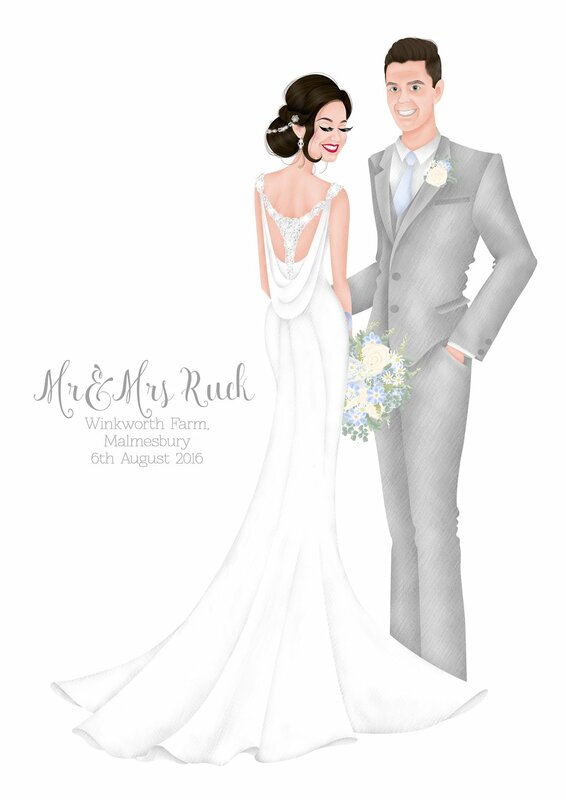 From Wedding Dress Illustration to Party Frocks and Wedding Suits – I can illustrate you in your chosen outfit. 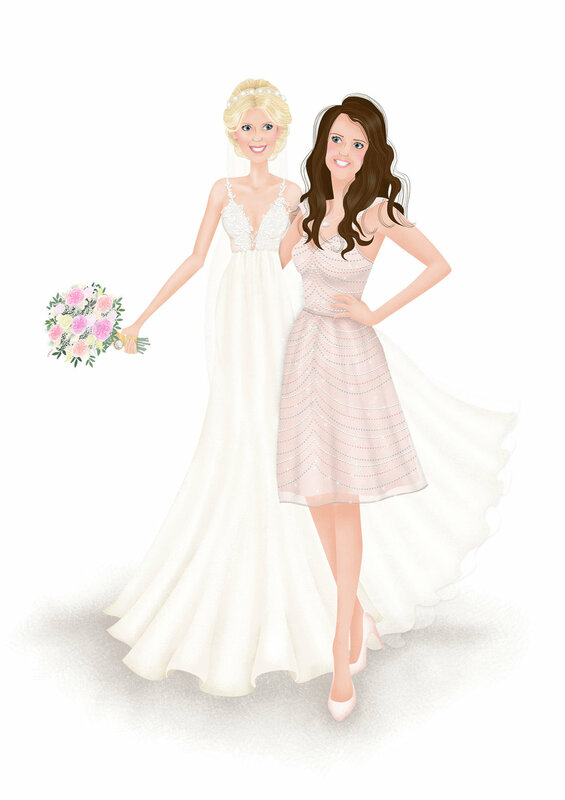 Making a perfect gift, or treat for yourself, a framed Dress Illustration is the perfect way to remember a special date by. 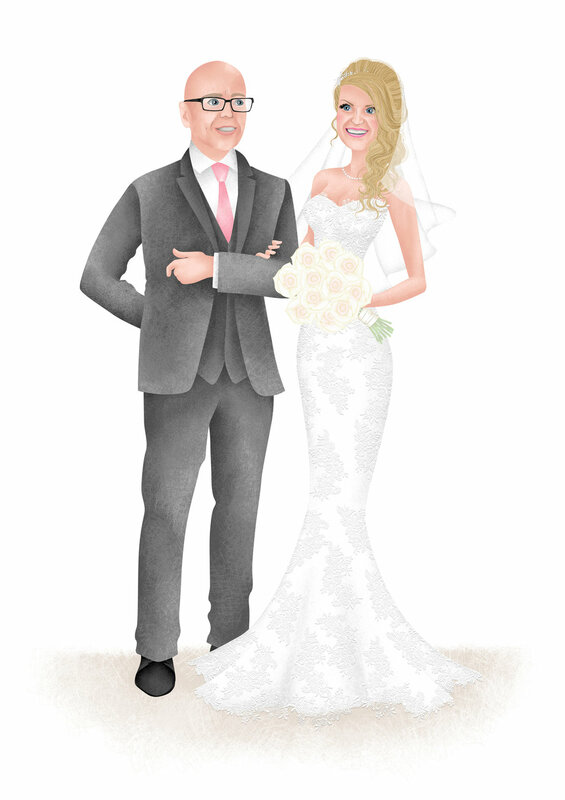 These portraits are a fantastic first Wedding Anniversary gift - year one of marriage it is tradition to give the gift of paper! 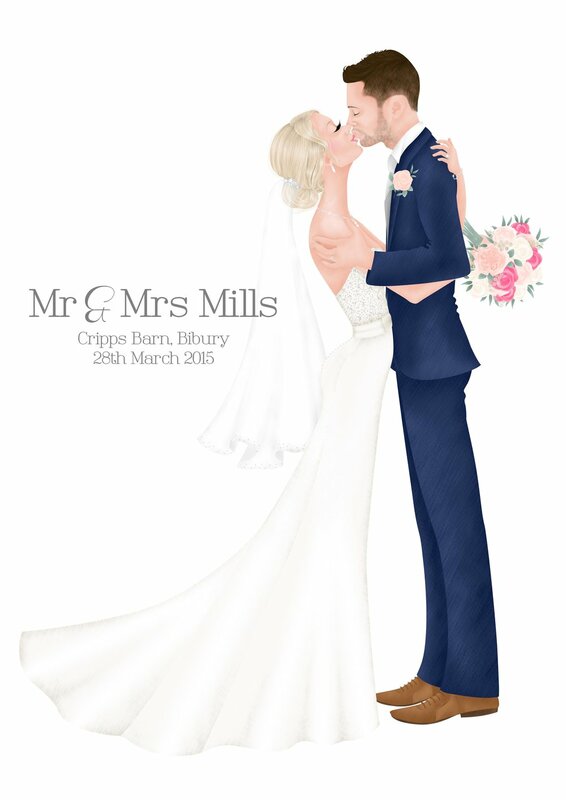 To commission a Dress Illustration of your own, just get in touch to discuss your requirements, or fill in my Get a Quote form. 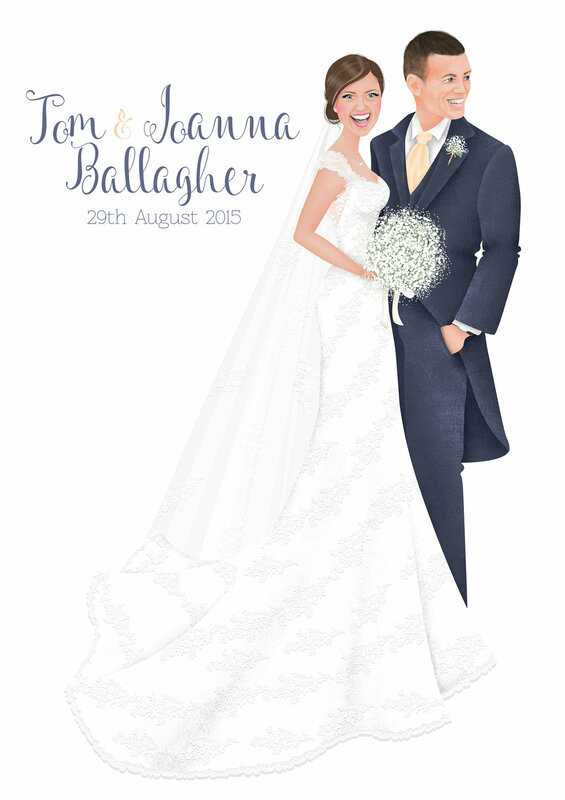 If you'd like to purchase a Portrait for someone as a gift, you can buy a 'print at home' Gift Certificate. 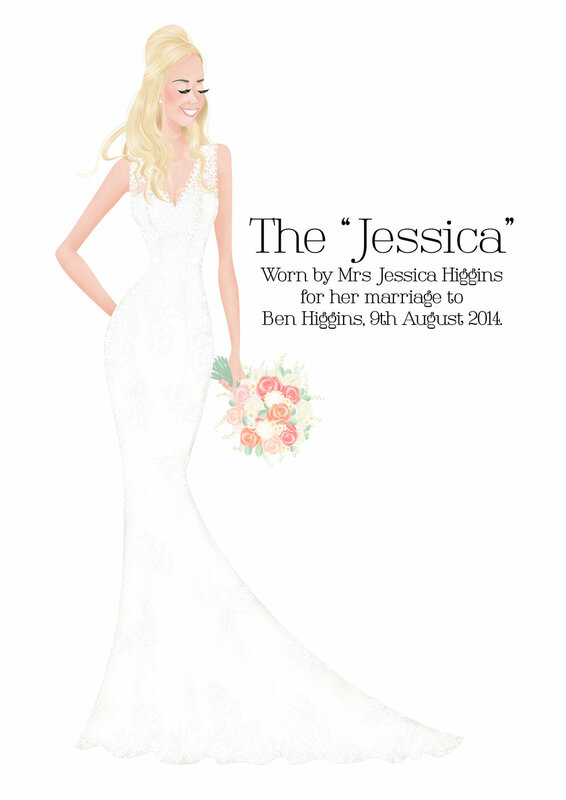 For pricing information, please take a look at my price list.